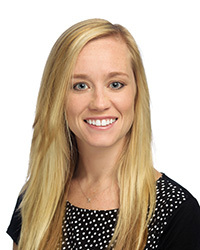 Dr. Kaitlyn Cremer earned her Master of Occupational Therapy and Doctorate of Occupational Therapy from the University of St. Augustine for Health Sciences. During her doctorate work, she became a certified caregiver trainer for families caring for individuals with Alzheimer’s disease, and she partnered with St. John’s county to provide services to families in need. After graduation, Dr. Cremer moved to southwest Florida. She worked in two unique, emerging practice fields in the occupational therapy profession, low-vision rehabilitation and injury and prevention. Her injury and prevention experience includes worksite analysis, job coaching, health, wellness, and safety training and implementing prevention programs including stretching routines, body mechanic and ergonomic training programs, and signs and symptoms recognition training for manufacturing workers. Dr. Cremer holds a specialization in low-vision occupational therapy and she was clinical director for a low-vision occupational therapy company. Aside from treating a full caseload, she was responsible for initial and continual low-vision training and support of occupational therapists around the country. She was also lead for business development including sales and marketing throughout Florida. She served on the board of Visually Impaired Persons of Southwest Florida, developed support groups for the low-vision community, led low-vision training courses for optometrist and ophthalmologist staff, partnered with the Florida Division of Blind Services to provide services across areas of need, and promoted health awareness for the visually impaired. Aside from unique expertise in emerging practices, Dr. Cremer also has experience treating in a variety of settings including acute-rehab, sub-acute, acute, outpatient adult, and outpatient pediatric. She joined USAHS as contributing faculty in 2016 and full-time faculty in 2017.